Determining your family's caregiving needs will help you to identify what type of nanny to hire. 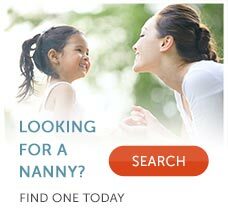 There are several different types of nannies. The nanny that will suit your family best is the one who can best meet your family's needs. Many parents, especially those with larger homes or those who work longer and/or sporadic hours, seek live-in nannies. Typically, live-in nannies are given a separate bedroom and private bathroom at a minimum. Some families are able to provide a live-in nanny with a guest house or an in-law apartment or a suite with a separate entrance. Live-in nannies are offered room and board in addition to their salary, not instead of a salary. Live-in nannies must be paid for each hour that they work and in some states, live-in nannies are entitled to overtime. While a live-in nanny lives with the family, she is not on call 24/7. When hiring a live-in nanny, it is essential to clearly outline your nanny's schedule, duties and responsibilities and to maintain healthy boundaries. Live-in nannies may or may not have their own vehicle. Full-time nannies work, on average, 40 to 60 hours per week. Part-time nannies typically work 30 hours or less per week. All nannies, both live-in and live-out, full-time and part-time are responsible for providing quality child-care and undertaking all tasks related to the care of the children. These tasks can include meal planning and preparation, children's laundry, transporting the children to and from activities and keeping the children's areas neat, clean and organized.